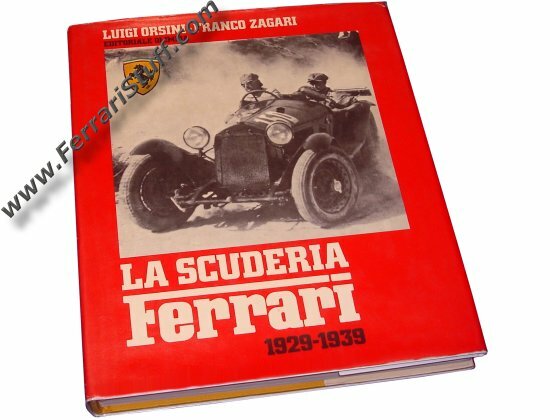 La Scuderia Ferrari 1929 - 1939 by Orisini and Zagari. 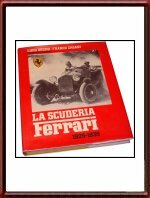 Peerless coverage of the important 1929-1939 period of the Scuderia Ferrari racing team. 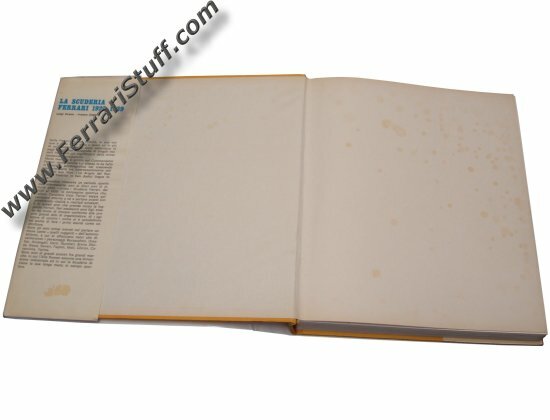 In very good condition, some foxing / spotting to front end papers, spine of dust jacket lightly faded, small repaired tear to dust jacket at top of spine and the usual slight discoloration on the spine of the dust-jacket. 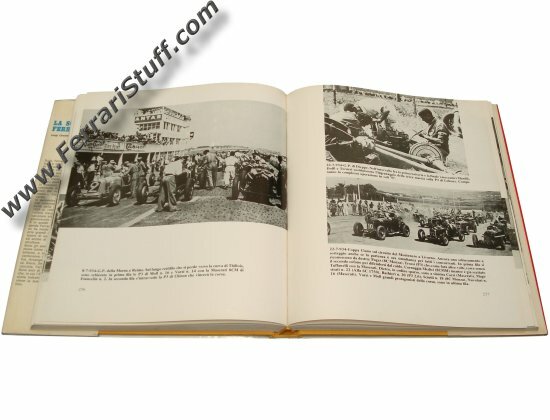 Please note that the dust-jacket has an additional plastic cover which can be easily removed but gives some reflections in the photographs which may look like discolorations but are not. 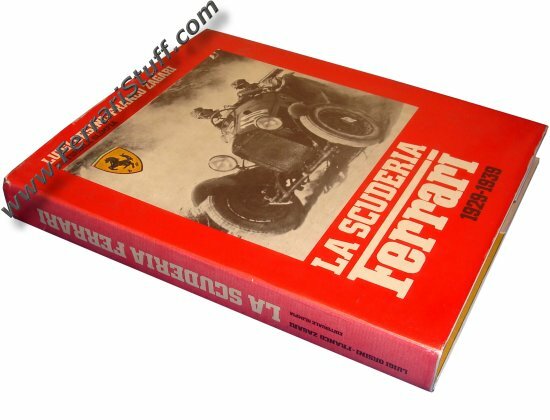 A very rare book and often considered the holy grail of Ferrari books. This is the Italian version which is much better and more elaborately illustrated than the, later, English version.